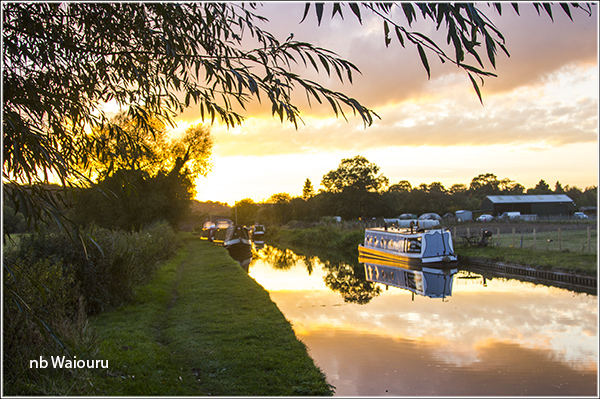 I went for a walk along the towpath to Rugeley at dusk yesterday evening and managed to take a few photos. Fortunately the camera does a good job of taking photos when it’s almost dark. 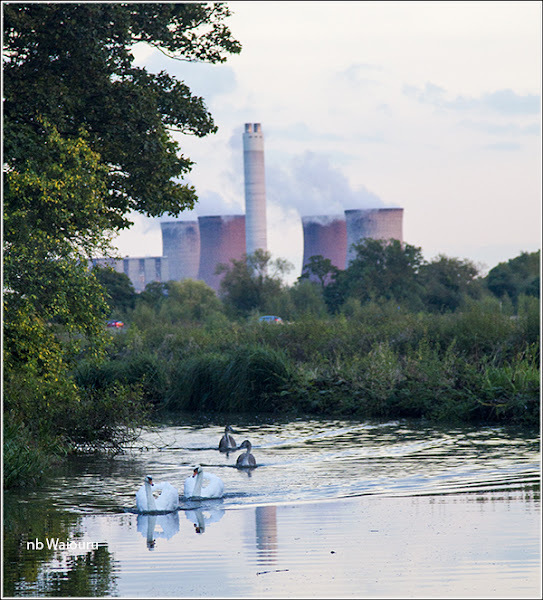 The major feature on the skyline around Rugeley is the local power station. Originally there were two coal fired power stations but the earlier one was demolished in the 1990’s. The current station was commissioned in 1972 and had emission control modifications made to it in 2007 extending its operating life by a further 25 years. On my return to Waiouru Jan decided to make a cuppa whereupon the gas bottle ran out. However the fuel boat sells calor gas which meant we needed to reverse back 100 metres in the morning and buy a replacement cylinder. On the northern outskirts of Rugeley the canal makes a hard left turn to cross the River Trent over a four arch aqueduct built by James Brindley. Brindley always built very strong aqueducts as they needed to carry a large amount of puddling clay and also withstand the force of the water passing underneath. He also built then at 90 degrees to the river because he didn’t know how to design a brick bridge/aqueduct with arches on an angle to the direction of the river. 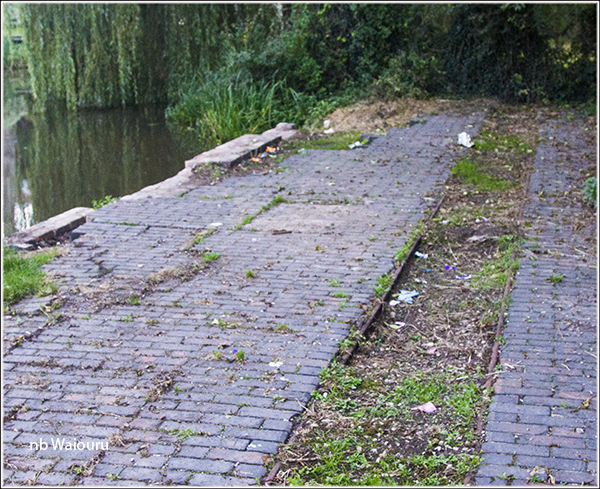 What particularly caught my eye was what appeared to be the remains for a light narrow-gauge tramway at the Rugeley end of the aqueduct. I’ve no idea what it might have been use for unless there was an adjacent wharf? We stopped in Rugeley for a couple of hours to restock the cupboards. Separate trips to Tesco and Aldi. We’ve been this way on three previous occasions and yet this is the first time I’ve noticed the building in the photo below. It’s on the southern side of Rugeley and I’d like to know what it is/was used for when first built? Jan walked ahead through Armitage Tunnel (which has no roof) and checked the narrows were clear before calling me forward using the walkie talkies. 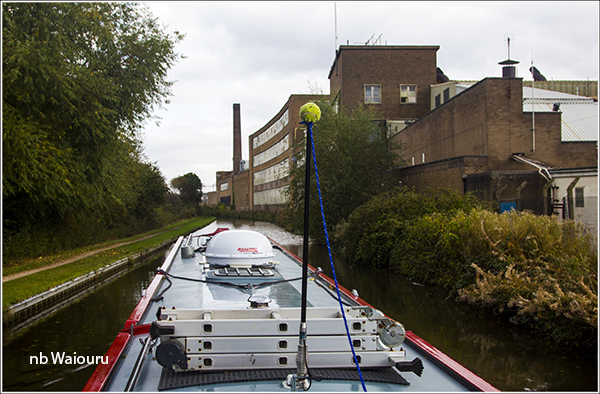 We motored on to the Armitage Shanks Factory which evoked memories of an earlier hire boat holiday when at the end of a long day we moored here for the night. I remember the factory operated 24/7 and we had a noisy night with the sound of forklifts and other vehicles moving porcelain thrones around the yard. Today the yard looked rather empty. I wonder if production has been cut or there has been a significant jump in demand? Fortunately those long cruising days are a thing of the past and today we stopped just before Kings Bromley Marina after four hours of cruising. The 175A alternator has been charging the domestic battery bank but you can detect it cutting in and out. I’m starting to eliminate possible causes. I don’t think the problem is the Sterling PDAR as the alternator is still producing power. The alternator windings obviously aren’t burned out and if the alternator internal regulator had failed then the PDAR would take over that function (as it’s supposed to). My guess is it’s something very simple (look for the easy things first). I’ll contact Cox’s Automotive about a day out from Atherstone and ask them to look at it. I would suspect worn or sticking brushes in the alternator as this would give erratic output. These should relatively easy to replace. Thanks for the information. 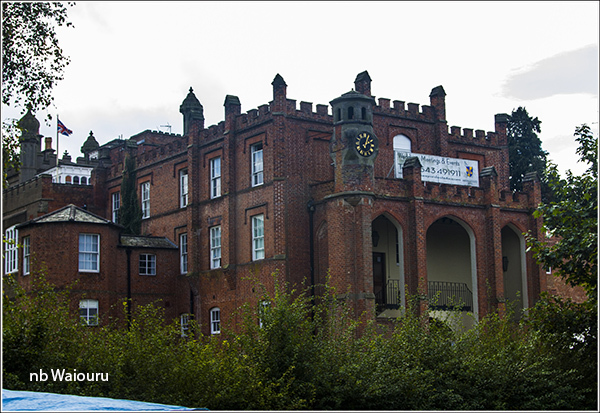 With your information I've been able to find out more about the history of the building. Yes, I have also been thinking it's probably the brushes. I'll probably get Cox's to confirm this and if it reoccurs I'll do the replacing myself.